← Happy rainy beach day! Where nothing seems to feel right on your frame, when it feels like there is a bubble of air in your tummy nothing will pop it. 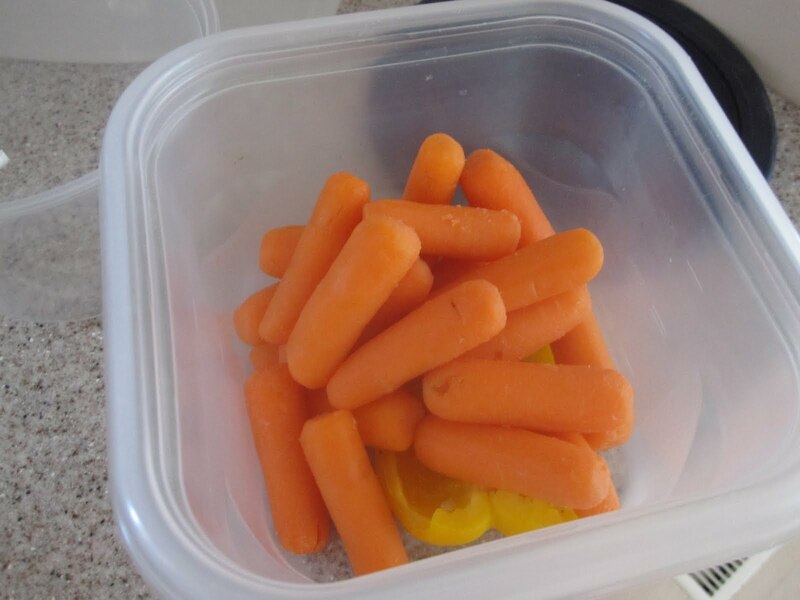 For some, this is annoying, but manageable. For a girl eager to flaunt her new body in a bikini, this is torture! As someone with IBS, there are things I should definitely NOT be eating. High up there on my list include: Splenda (or any form of artificial sweeteners) and sugarfree gum. I had quite a lot of both yesterday, and felt the effects-big time-today. I thought my run was going to be severely hampered by my stomach, but fortunately it ended up being a pretty good one! I even managed to clock in an 8 minute mile, something I don’t think I’ve ever done in my entire life. When I came back, once again I felt no desire to eat anything. I waited until I absolutely HAD to put something in my stomach, and created a yogurt/cereal bowl. 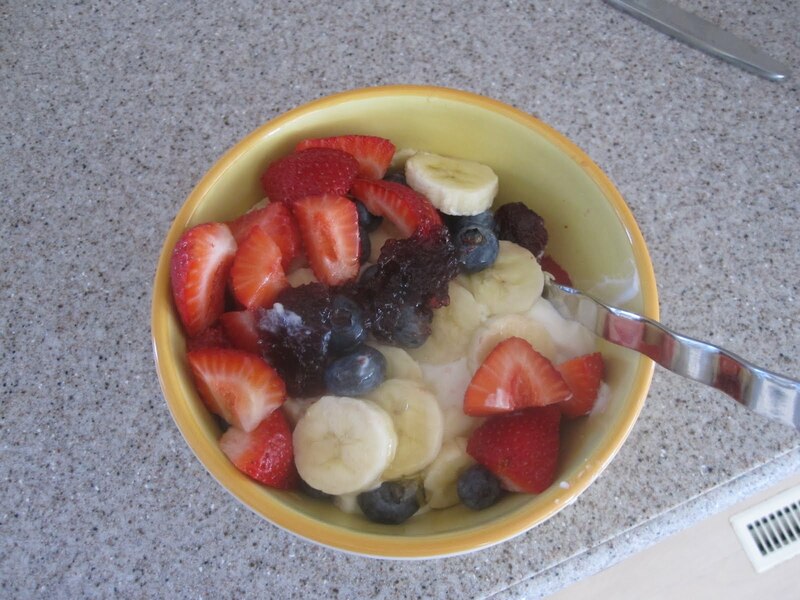 I topped a container of plain Oikos with 1/2 c Kashi GoLean Crunch, 1/2 c Cinnamon Life cereal, 4 strawberries, a handful of blueberries, a drizzle of honey and a tbsp Polaner Black Cherry Jam. It was a perfectly filling breakfast and was more than enough to get me going to the beach! I didn’t want to leave the beach (or my book) to eat lunch, so I came back to the house and quickly packed a lunch to take with me. 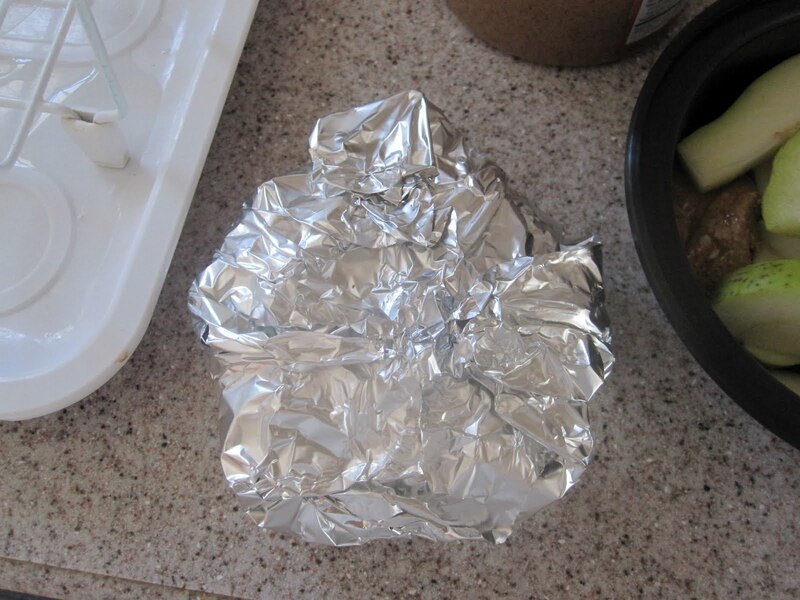 Yes, I eat aluminum foil. ROFL I totally forgot that maybe people would want to see my actual sandwich. It was quite boring, just a couple pieces of turkey on a Thomas Whole Wheat Bagel Thin with a sprinkling of arugula. One Hugh Jass pear for dipping into about 1 tbsp + 1tsp Justin’s Maple Almond Butter. WOW. This was so good! 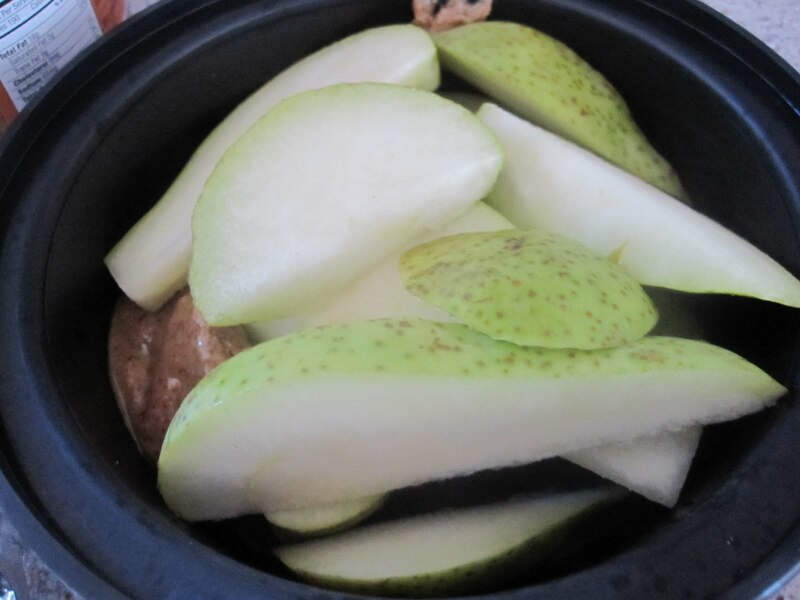 I’d only been dipping apples and sundry into my tub of Justin’s, but now I know how great a pear tastes with it, I think I know exactly what I’m having for lunch tomorrow! I spent a good long time on the beach today, and despite my best efforts not to burn, I’m very red on my chest and upper legs. 😦 I didn’t even realize it until I hit the outdoor shower and felt the blazing water hit my skin! Because my stomach was so unbearable, I didn’t really have an afternoon snack. I grabbed a handful of blueberries and called it even. I had zero appetite, but I tried to make my dinner quite memorable, and it was absolutely delicious even though I currently feel like hell! 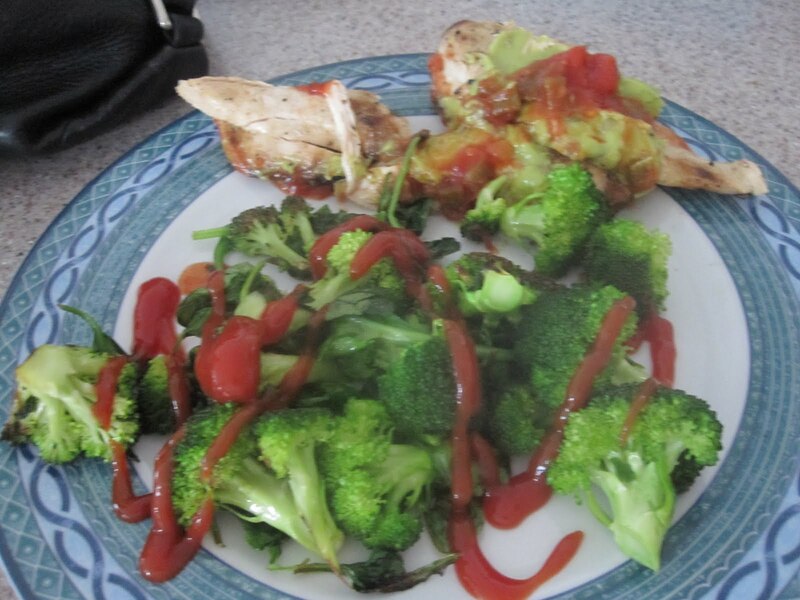 I had the exact same thing as last night (cold chicken with salsa and guacamole, side of broccoli) except this time I stir-fried the broccoli with some spinach until it had a little bit of a crunch left to it, and covered it in the ketchup. 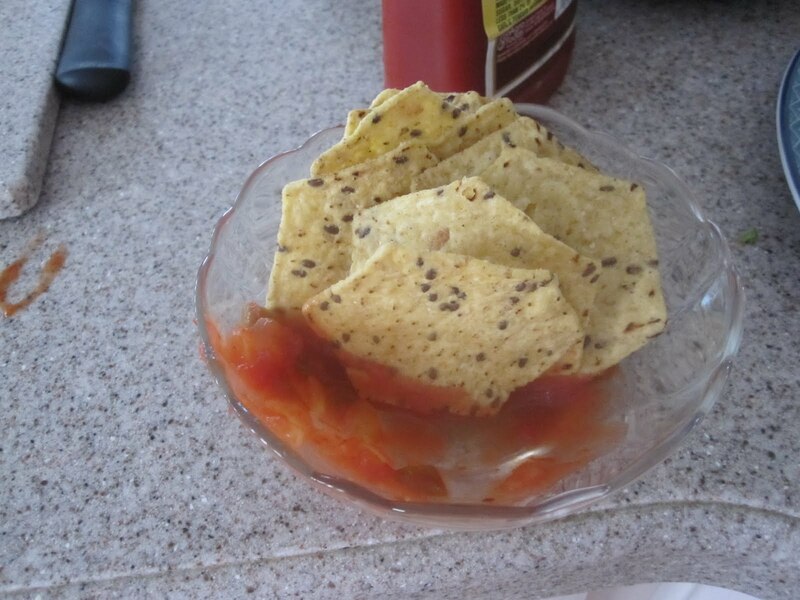 I haven’t had these in a long time, but the crunch factor remains a beloved favorite. I still long for their Sweet Potato flavored ones and wish my grocery store still carried them! I think I’m going to work my way through this Lindt Intense Orange bar this weekend. It’s so hard to stop myself at one square! 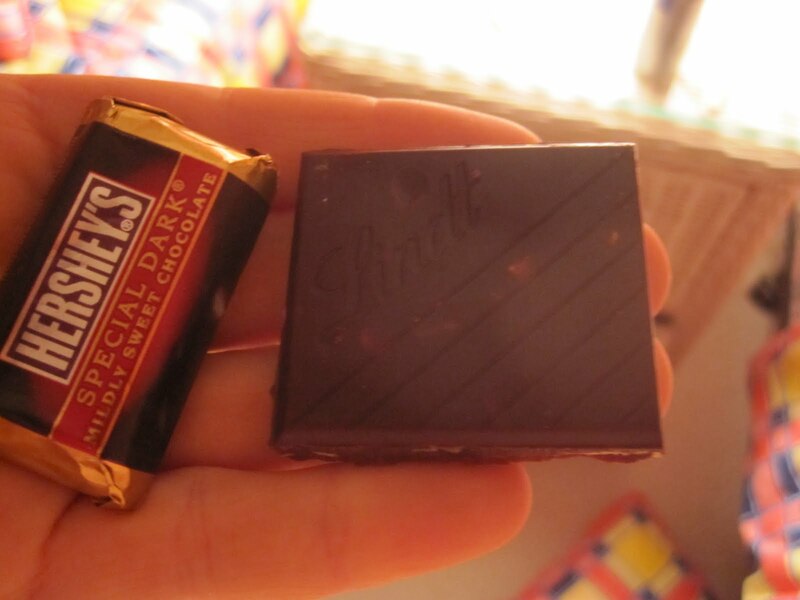 Thankfully I had this last Hershey Mini to tide me over. I wish I’d brought down my Trader Joe’s Mini PB Cups, but I think I’ll be okay considering I’m planning to have a gelati on Sunday! Now, off to watch a bit of Game 7 (GO CELTICS!) and perhaps get some more reading in. What are you all reading this summer? In closing, I’d like to share with you some ideas for a running playlist. These keep me motivated and ready to pound the pavement. Any others? I have so many on my gym list, sometimes I skip through ten of them at a time while working out…sometimes you just don’t want to listen to Ke$ha, and sometimes it’s all you want to hear! Have a good night! Tomorrow is hopefully my day off from working out, so I plan to get some much-needed rest and catch up with my sister and brother-in-law, who are making the trip down!